In the pre-dawn Saturday darkness, I heard a tiny voice (that can get quite loud) calling “Daddy” from her crib. I warmed up her milk while I brewed my coffee. We are both very particular about our morning hot drinks. I heat her milk in the microwave for 47 seconds. My French Press (cafetiere) is timed for 4 minutes. When the rituals were complete, we sat down happily under a blanket with clay mug of a bourbon espresso blend and a plastic thermos filled with perfectly warmed milk. I also grabbed my book. Boers is writing about “focal practices,” a phrase associated with University of Montana philosopher Albert Borgmann. 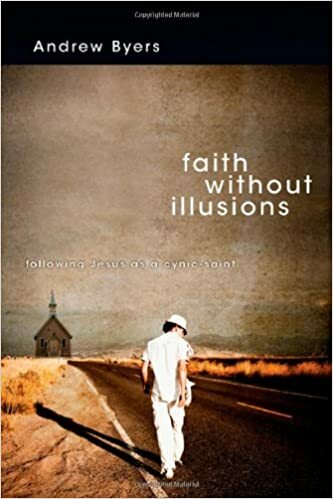 Eugene Peterson wrote the book’s foreword. 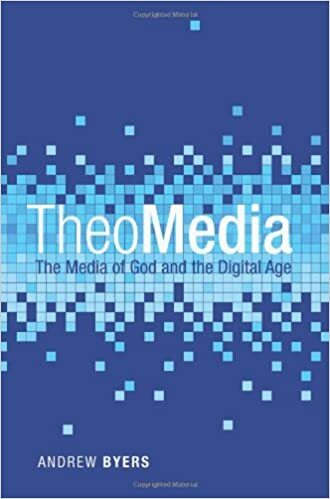 Boers, Borgmann and Peterson alike share a suspicious disposition toward the technological ethos of our age—an important perspective for me to understand as I research for my media-theology book. To a large degree, it is a perspective I instinctively share… though I have to say I am trying to listen carefully to other voices, a practice that is causing me to rethink a few things. My oldest daughter had just appeared from her bed. I kept reading, now with both daughters snuggled up on the sofa under the blanket. Boers was writing about his family’s experience of preparing and eating meals at this well-crafted wooden table, a furnishing in his home that almost took on a sacramental quality. That was from my 4-yr old. If he does not eat within ten minutes of rising bleary-eyed from a night’s sleep, there is a danger that the galaxy might implode. At least that’s what his demeanor conveys. I go to the kitchen to make breakfast: chocolate chip pancakes is the Saturday morning standard. My mood is good. I am excited about the culture I want to instill in my young family. As I work on the meal, I take glimpses out the window to take in the fresh sunlight hitting the Autumn leaves and the still-green grass. Boers had installed a window in his kitchen so he could do the same. I give my permission—the tiny toddler, full of warm milk, wanted to watch an episode of Elmo’s World. It lasts 12 minutes or so… innocent enough, right? Then I call them for breakfast. My wife joins us from her activities upstairs, and we all sit around this old wooden table that, as our landlords inform us, used to belong to a well-known Bishop of Leeds. Butter is smeared, syrup is poured, and conversation begins. Boers is calling for focal practices that cut into our technological/entertainment habits. Part of the argument is that our lives are stressed, distracted, disjointed, fractured. We hardly have any time to concentrate and enjoy each others’ company. We can hardly sit and have a decent dialogue over a table these days with all the buzzing and beeping of our gadgets at the table. Forget the buzzing and beeping. I’ve got yipping and yapping. When we all 6 take our place at that old, wooden table, the sort of conversation and fellowship I envision does not happen. It is stressed, distracted, disjointed, fractured. Someone drops a syrup-soaked hunk of pancake on the floor. The sausage is too hot, someone complains. The toddler shouts that she is all done, yet she does so while sneaking more bites as if she cannot get enough—she is mad if she gets taken down from her high chair, mad if she does not. An argument breaks out between the two oldest across the table. A milk cup almost spills. All this happens in one rising swell—not instantaneously. It just grows and grows until my wife and I are on edge, anxious, frustrated, and so busy attending to the madness that our own pancakes (lovingly riddled with blueberries) get cold. And you know what? If I had served the meal in front of the TV, it would have been quiet, relaxed, and argument-free. Now, our table is not always cacophonous and chaotic. And my wife and I understand that our children must be meticulously taught to sit quietly and respectfully while “at table.” That will take years. Also, Boers is not saying that these focal practices are easy. In fact, difficulty is an essential ingredient in developing a focal practice: without the challenge, there would be no counteraction against the immediate-access culture of consumerism and technological gadgetry. But Elmo’s World would have kept our table much quieter, much less stressful. I am not necessarily disagreeing with Boers. I like his vision. I will help promote his vision. But I do like to bring out the nuances and impracticalities, especially for those of us with small children (which Boers would readily acknowledge, and does so from time to time in his book). Brewing coffee and warming milk with a bleary-eyed toddler in my arms is a focal practice of sorts. My arm hurts, and reading with her squirming in my lap can be a real challenge. I will never trade in those moments, though. But I thank God for supper in front of the TV on Family Movie Night. From an interview David Woods had with Borgmann. See Arthur Boers, Living into Focus: Choosing What Matters in an Age of Distractions (Grand Rapids, MI: Brazos, 2012), 21, n. 13. Life with small children is another world for sure. I have not been there for a long, long time. Our offspring are young adults now. I’m all for together time with one’s kids. And sometimes eating in front of the tv is the best possible option. I like nuance too. Dr. Boers — it is wonderful to have your voice make an appearance here! And I can certainly tell that you do indeed appreciate the nuances. I certainly did not want this post to reflect a defeatism when it comes to focal practices. It simply depicts 30 minutes in my home last weekend that seemed to occur in direct interaction with the words of your book. Thanks for writing Living Into Focus. 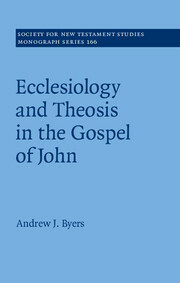 It is becoming an important piece in my own research on media, culture and theology (and in my Daddy-ing!). Hi, Andrew. Boers to Byers again. Life is full. I admire what you’re doing and thank you for the affirmations. Now I want to read your book.